When working with a commodity like steel, the materials are subject to many factors that affect the price on daily basis. The availability of the steel building material itself, tariffs issued by the government, the amount of supply and demand, and other surcharges may be applied. 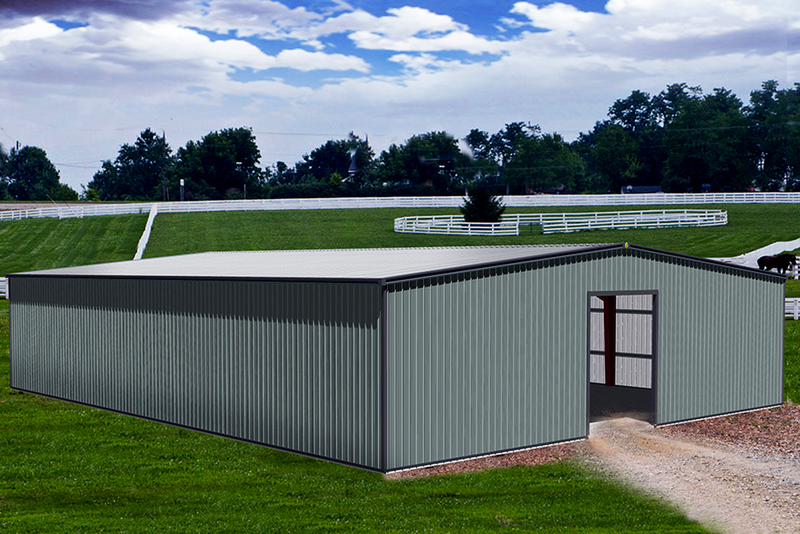 An 80×100 metal building cost can range anywhere from $47,000 to $60,500*. According to current steel building prices the price per square foot is now listed anywhere between $5.80 and $7.50*. Looking to dial in the specifics and put together a budget for your building project? Here are a few questions to help you determine your price point. Will the building be private or commercially owned? Where will the building be located geographically? Are severe weather conditions a concern? What items will occupy the building? How many entrances are needed? Do you need skylights or windows? Typically, a steel enclosure of this size is used as an aircraft hangar, warehouse, commercial office, or equestrian building. The purpose of the structure will dictate the answers to several of the questions above. Looking for more information? Let Sunward help. Get a steel building price quote today.